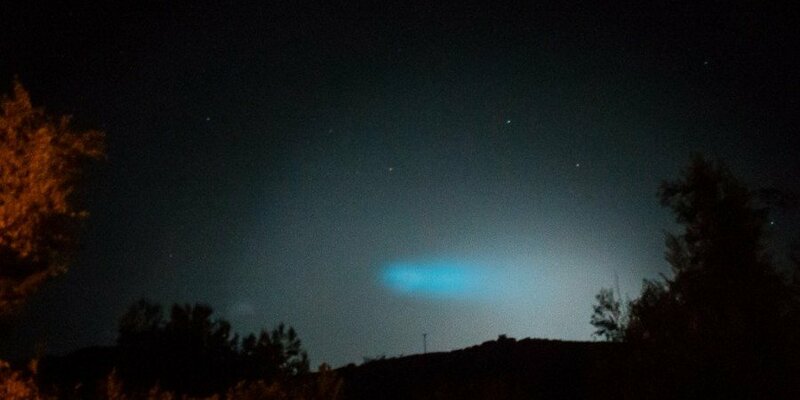 A suspected meteorite did a close fly-by over Cyprus early on Friday, sending people into consternation over a blitz of bright lights which appeared in the night sky coupled with large bangs. "It had a 45 degree tilt and a bang was heard as it passed over Cyprus," said Ioannis Fakas, the honorary chairman of the Cyprus astronomical society. People living in the mountainous Troodos range reported green-white glows in the sky at around one in the morning, then large blasts, police said. Some reported the ground shook. "It wouldn't have weighed any more than a few kilos," he said. "When it crossed Cyprus it exploded," he told the Cyprus Broadcasting Corporation. Police in Cyprus suspect that a meteorite gave residents cross the island a rude awakening in the early hours of Friday morning with efforts are currently underway to locate the possible remains of the space rock. Speaking to the Cyprus Weekly, an official from the Cyprus Police Press Office said it was more than likely that the hundreds of callers had experienced a cosmic phenomenon. The incident occurred between 12 am and 1 am on Friday morning. “Without confirming anything, we strongly believe that it was a meteorite,” said the police official. Astrologist Demetris Panagiotides later confirmed that a some space rock may have fallen on Troodos but locating it will be a tall order because it would be small in size. But speaking to the Cyprus Weekly, Cyprus Geological Department official Iordanis Demetriades said that seismic instruments did not record any kind of movement. A search is currently underway to try and locate any possible remains of the suspected meteorite by the Cyprus Civil Defence. Civil Aviation officials claim that nothing had been identified or reported by any pilots and that flights had been operating normally over the island’s air space all night and all morning. Video and CCTV footage showed a fireball streaking through the clear morning sky, followed by loud bangs. The footage – which was released by Dr Damp in Paphos – shows a flash of light while a reflection of the meteorite can clearly be seen on the windshield of a parked car. The flash was followed by a serious of loud bangs that were heard and felt through the west of the island. The direction of the meteorite – according to witnesses – was from south to north.